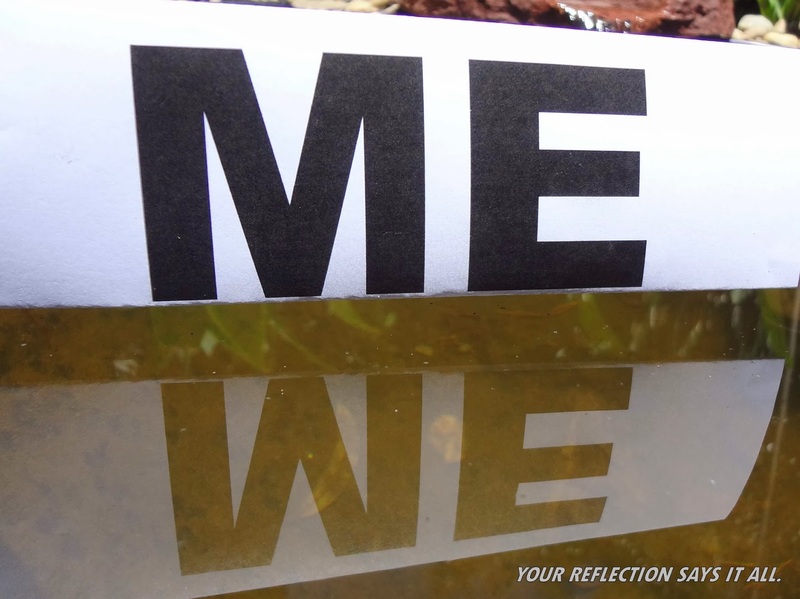 What does your reflection say about you? Do you consider others or just yourself? Money for me or money for us! For the benefit of me or for the benefit of us! I’m ok..So who cares about them! My country is safe…they are not my problem! I have food on my table so……. My children are at school and being educated so….. I can sleep at night safely so….. Many people all around OUR world are not safe tonight, they won’t have shelter to protect them from the storm and keep them warm and dry, they wont have food on their table and clean safe water to drink, tomorrow their children wont have a school to go to, no education available and they will be in FEAR for their lives…Can they get through another long cold night and if so, can they make it safely through another day of torture and torment! Be mindful of what you have in your life, give thanks for all you have and remember ‘life is good for some, but not for all’! ← Don’t hold on to things, let go and feel free! This is so true. We need to be reminded that genuine appreciation leads to a deeper sense of gratitude.